Many adults enjoy reading, and wonder how to pass their love of literature on to their children. Learning to read is a big milestone for children, who often see that step as their transition to being “big kids.” Kids who love to read often do well academically because good reading and comprehension skills help them to find understanding of any topics that they may wish to study, so smart parents do all that they can to create an environment that encourages reading. When babies are very young, they often enjoy time snuggled up with Mum and Dad, listening to the voices of their favourite people. This is the perfect opportunity to introduce reading to children, though at this stage, the specific reading material can be almost anything. Children’s literature is always appropriate, but for the first few months, babies are happy just to hear Mum or Dad read articles from their favourite magazines! 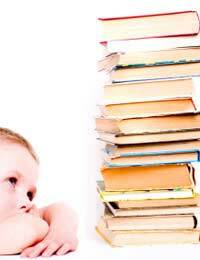 As babies grow into toddlers, they are likely to have a few favourite books that they request again and again. Stories with colourful illustrations are often enjoyed by little ones, as are those that rhyme or have a sing song quality to them. It’s good to set a reading routine so that kids come to look forward to their story times. Right before bed works for many people, but as long as reading is a regular activity in the household, it doesn’t matter what time it gets done. Establishing a “reading friendly” household when kids are little will encourage them to continue the habit as they get older – especially if they see their parents reading for pleasure, too. No one enjoys listening to monotone voices, so to keep kids interested in books, parents, caregivers, and educators need to find ways to Bring the Stories to Life. Using funny voices for assorted characters is usually amusing to kids, and encouraging the children to play the part of a favourite character is a great way to get them actively involved. As children get older and their comprehension improves, parents can introduce chapter books, reading a bit each day, and with children who are able to read, taking turns reading aloud. While many parents want to stress the Importance of Reading, some shun things like magazines and comic books, yet for early readers, any type of reading material that appeals to them should be encouraged. Most libraries host events specifically for children, such as storytelling hours or craft projects that are associated with the theme of a specific children’s book. The library is a great place for families – it provides a quiet environment for reading, relaxing, and researching favourite topics. When kids ask questions (as they often do), parents should view those inquiries as opportunities to help their children find the answers. Developing solid reading and research skills serves children well, helping them in their academic careers and beyond. Good readers often share a number of qualities. They have easy access to books, are in environments where they see others reading for pleasure, and many times, they have parents or caregivers who understand that developing reading skills requires more than merely sitting down with books. Playing word games, encouraging kids to expand their vocabularies, and helping kids to put their own stories down on paper are all ways that parents can raise kids who love to read.